The Washington Nationals placed outfielder Ben Revere on the 15-day disabled list with a right oblique strain on April 6, per Mark Zuckerman of MASNsports.com. However, he's ready to make his return. Dan Kolko of MASN reported Revere is starting and batting leadoff Friday against Chicago. 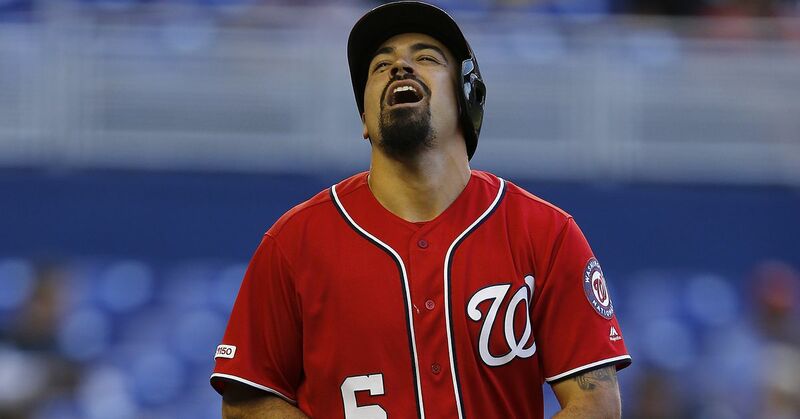 Chelsea Janes of the Washington Post noted that "[Nationals manager Dusty Baker] said [Revere's] MRI revealed what team thought. Strained oblique. No timetable." As a result of Revere's trip to the DL, the Nationals called up Matt den Dekker from their Triple-A affiliate. Den Dekker hit five home runs, drove in 12 runs and batted .253 in 55 games for the team last year. Last season with the Philadelphia Phillies and Toronto Blue Jays, Revere pieced together another solid campaign and showed that he is a threat at the top of any lineup. He recorded 181 hits with 31 stolen bases while batting .306 along with a career-high .342 on-base percentage. With the Nationals, many expected him to set the table for the likes of Ryan Zimmerman and reigning National League MVP Bryce Harper in their quest to take the NL East back from the New York Mets.